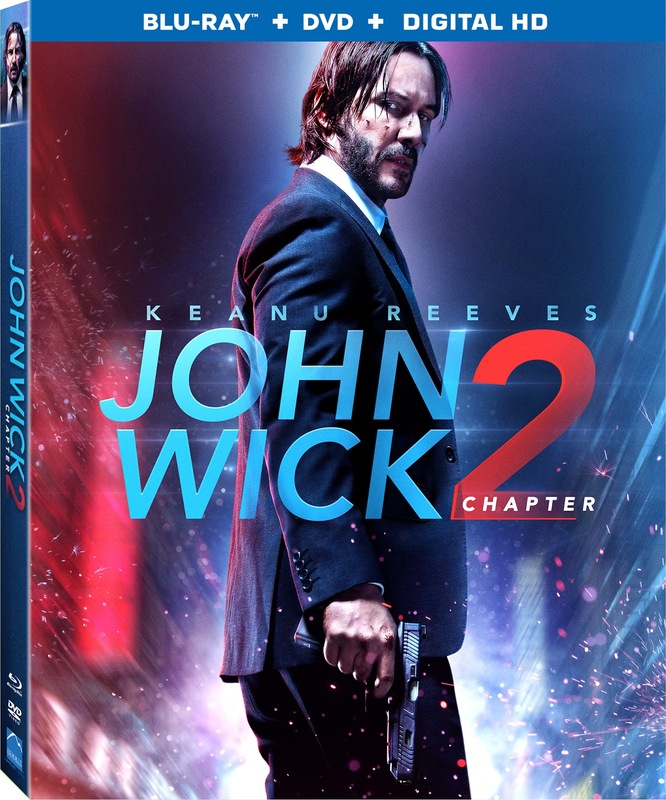 Thisfunktional has three copies of "John Wick Charter 2" to give away to some lucky winners. For fans of the first "John Wick" the sequel keeps up with the great action of the first one. Follow my Instagram (instagram.com/thisfunktional) and comment your username bellow. You have to be following me so I can message you with instructions on how to claim your prize. Disclaimer: 3 winners will be chosen. Contest runs to June 03, 2017 . Winners will be notified on June 05, 2017 with instructions on how to claim your prize. No purchase necessary. Prize provided by MPRM COMM. Only open to the U.S., no PO Boxes or international addresses. 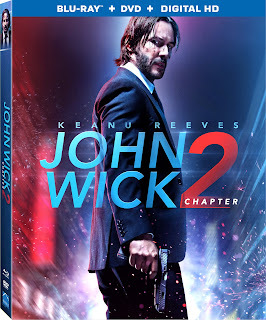 "John Wick: Chapter 2," the highly anticipated, hard-hitting second installment in the thrilling John Wick saga, shoots its way onto Digital HD May 23 and on 4K Ultra HD Combo Pack (plus Blu-ray and Digital HD), Blu-ray Combo Pack (plus DVD and Digital HD), DVD, and On Demand June 13 from Summit Entertainment, a Lionsgate company. Keanu Reeves (The Matrix franchise) returns with director Chad Stahelski (John Wick) and writer Derek Kolstad (John Wick) in this globe-trotting, action-packed thriller. Reeves stars alongside an all-star cast including Bridget Moynahan (TV’s “Blue Bloods”), Ian McShane (TV’s upcoming “American Gods”), John Leguizamo (American Ultra), Common (Selma), Peter Stormare (TV’s upcoming “American Gods”) and, reuniting with Reeves for the first time since The Matrix films, Laurence Fishburne (TV’s “Hannibal”). Legendary hit man John Wick is forced out of retirement again by a former associate plotting to seize control of a shadowy international assassins’ guild. Bound by a blood oath to help him, John travels to Rome, where he squares off against some of the world’s deadliest killers. Featurettes include “RetroWick: Exploring the Unexpected Success of John Wick,” featuring the cast discussing the success of the first film; “Training John Wick,” showing Keanu Reeves and Common training with guns, cars, and hand-to-hand combat; “Wick-vizzed,” which looks at the blueprint “pre-viz” of John Wick’s action beats; “As Above, so Below: The Underworld of John Wick,” exploring the assassin’s underworld in the movie; “Friends, Confidantes: The Keanu/Chad Partnership,” delving into the long-standing relationship between Keanu Reeves and one-time stunt coordinator – and now director – Chad Stahelski; “Car Fu Ridealong,” where fans can experience a true ride-along with Keanu Reeves and the stunt driver; “Chamber Deck: Evolution of a Fight Scene,” breaking down one of the fight sequences from concept to screen; and “Wick’s Toolbox,” looking into John Wick’s bag of tricks. The 4K Ultra HD and Blu-ray versions will also feature Dolby Atmos audio remixed specifically for the home-theater environment, to place and move audio anywhere in the room, including overhead. Thanks for having the #thisfunktional #JohnWick2 #contest ! I didn't get the chance to see this in theaters, and I would love to be able to win a copy to enjoy! Thanks for the chance, Jesus!